In July, John Caudwell pledged over £1 million to fund research into Lyme disease on condition that the Department of Health also invests. 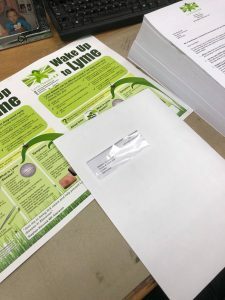 Mr Caudwell asked Lyme disease patients and their friends and families to write to their MPs and the media to make some noise and ensure that our collective voice is heard. ⁃ Write to Secretary of State for Health and Social Care, Matt Hancock, to lobby for research into Lyme disease along with immediate training of GPs and the setting up of combined research/treatment centres. ⁃ Join the Lyme APPG and/or attend the next Lyme APPG Enquiry evidence session that will be held after the recess. Details can be found here. 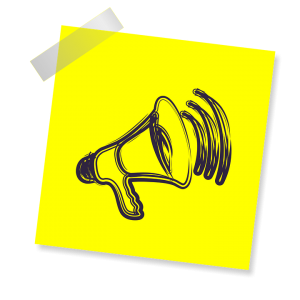 ⁃ Display an awareness poster in their constituency office and forward an electronic version to their Public Health and Education teams and Health and Wellbeing Boards. We also asked them to upload the poster to their constituency websites for members of their communities to download and print to display in local parks, schools, church halls, GP surgeries, local hospitals, vet clinics etc. We were delighted by the response from a number of MPs. Darren Jones, MP for Bristol North West, posted on his Facebook account to raise awareness. This post has already been shared over 140 times already, highlighting the issue and educating people from his constituency to be tick aware and be better informed to avoid serious illness. Douglas Ross, MP for Moray also backed the campaign and posted a warning on his website. Some MPs pledged to join the APPG, wrote to their local public health departments and requested personalised posters featuring their photographs, to display in their constituency. Thank you to all LDUK members who joined in with this campaign by tweeting and writing to their MPs in July and to all the MPs who are getting behind us. Together we will continue to make our voices heard!